Among all the trusted and admired watchmaker companies Titan holds a place of its own. They are known to create breathtakingly beautiful masterpieces of time that are always reliable. This watch is true to that name. 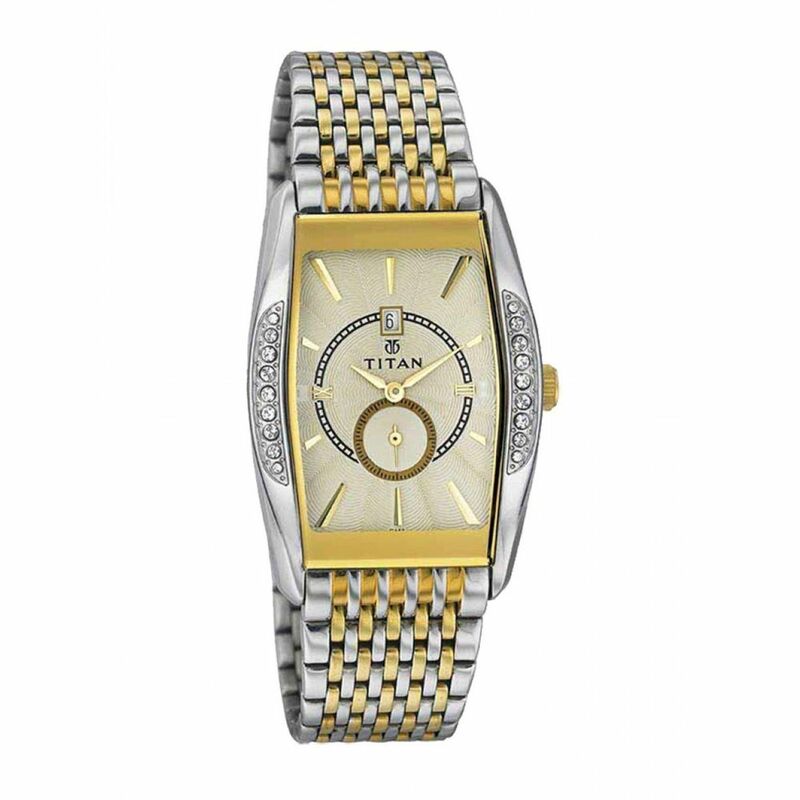 With beautiful two tone metal strap this watch will surely be the cynosure of everyone’s eyes. It is also sturdy enough to withstand the demands of your hectic life.